Traditional Knowledge (TK) has formed an integral role in how we, the Indigenous Peoples, see and understand changes to the environment. For Indigenous communities, TK continues to serve as an important building block on how we determine change and environmental impacts on any particular activity. The Environmental Assessment (EA) process in its broadest sense is not new to Indigenous Communities, however, over time it has been formalized and serves as an interaction between their knowledge systems and Western development. In this 2-part webinar, hear first-hand experience of how TK impacts the EA process. 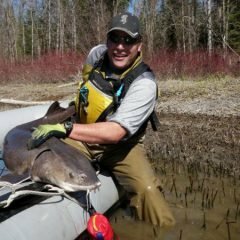 Gary is an Environmental Project Manager from Curve Lake First Nation with over 14 years of environmental experience. He has worked with over 280 Indigenous communities throughout Canada and the US and specializes in conducting environmental assessments, implementing policy, project planning and permitting while working in conjunction with multi-disciplinary sectors. Gary also serves as a technical advisor and past professor at two post-secondary institutes within Ontario.